Globe continues to serve fastest internet speeds at home and wireless connections with their latest rollout this year to cater increasing subscribers. To help support growing bandwidth requirements Globe are rolling out additional fiber optic capacity in order to support their growing 4G LTE-HSPA+ service. This covers 3 major cities in Philippines from Metro Manila to Cebu and Davao as noted by Globe President and CEO. As technology to evolves, wireless internet users continue to increase same goes with data usage. Getting involved to social networking sites, video streaming, chat messaging, music downloading and even loading a single web page while on the go requires bandwidth. Company’s additional LTE and HSPA+ coverage helps make wireless connection faster and more stable internet connection. “The growing preference for smartphones will increase the use of mobile internet which, in turn, will help fuel our revenue growth,” said Globe President and CEO. Globe’s mobile business grows 5% quarter to quarter making full year revenue to P67.189 billion. Their mobile browsing revenue generates 55% increase from the previous year after launching affordable data plans. Broadband business also earned 16% increased from P7.496 billion to P8.721 billion. 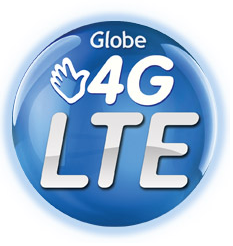 The continual 4G LTE-HSPA+ roll out from Globe is part of $700 million network modernization program.